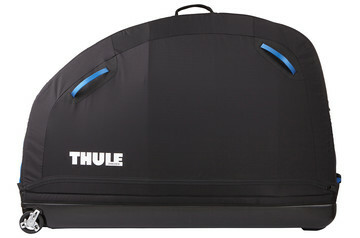 A Thule bike travel case transports your bike safely, securely, and without hassle. Each bike case is tough on the outside and smart on the inside. Ultra-protective, hard-shell premium bike case with integrated bike assembly stand that makes shipping and traveling with your bike simple. 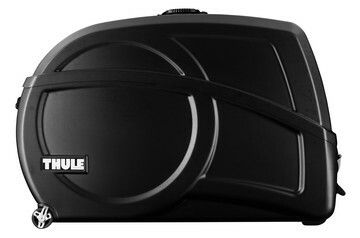 Soft-shell bike case with integrated bike assembly stand that makes traveling with your bike simple. Lightweight, soft-shell case that combines a durable exterior with an integrated mount, making traveling with your bike easy and secure. When you’re travelling the world, the best way to really experience it is often on two wheels. 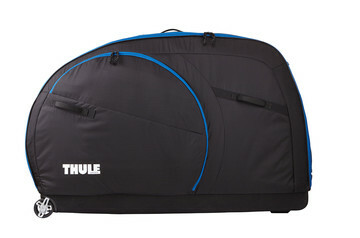 A Thule bike travel case means you can travel far and wide, and take your bike with you. With a choice of hard or soft cases, you and your bike arrive at your destination ready to go thanks to rugged protection on the outside and smart, secure storage on the inside. Your bike is designed for the road or the trail, and you know it’s up to the challenge. But how does it cope in the air or with the bangs and bumps of a baggage carousel? Our bike cases are designed, built, and tested to withstand the stress and strain of modern travel. Just relax and prepare for the adventure ahead, safe in the knowledge that your bike is expertly protected.